Creatures that can change colors at once. By using her tongue hunt. You probably agree with me that you are One interesting chameleon reptiles this planet. Almost half of the chameleon species in Madagascar, living. From Africa to southern Europe and south Asia, to Sri Lanka have been distributed. They also in the United States, places like Hawaii, California and Florida have seen. Any color change can happens in seconds. Chameleons are born with special cells with a color or pigment. The cells in the outer layers of skin chameleon. This layer has a red or yellow pigments. Lower layers contain pigment is blue or white. 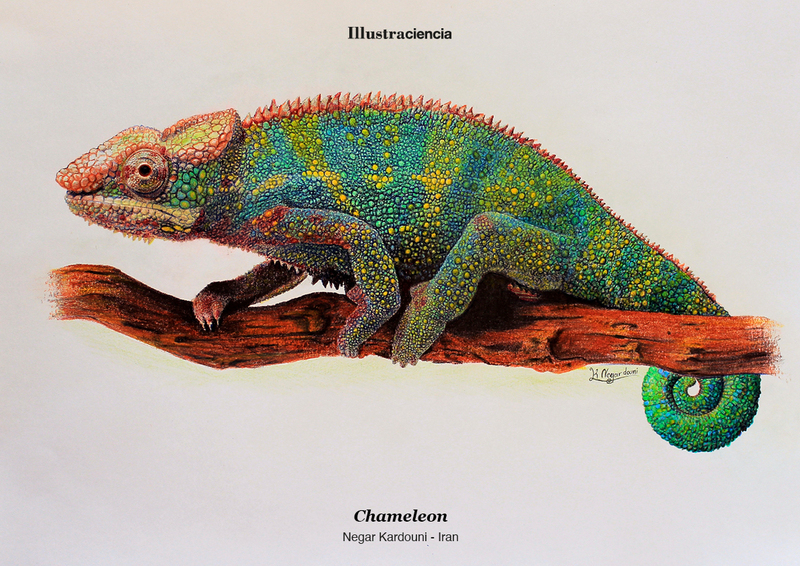 When the pigment change, chameleon changes color. Light, temperature and temperament Chameleon is the main cause color change. Chameleon at one time the eye can see in both directions. Tongue chameleon is a very powerful muscle . Which blow to bait draws it. The legs tongs-like appearance. Each legs contain five finger is a chameleon. This specialized legs chameleon helps to narrow or uneven branches as well move on. Each of the fingers is sharp claws. When climbing trees and rocks to it helps them. Also need to reproduce the UV.